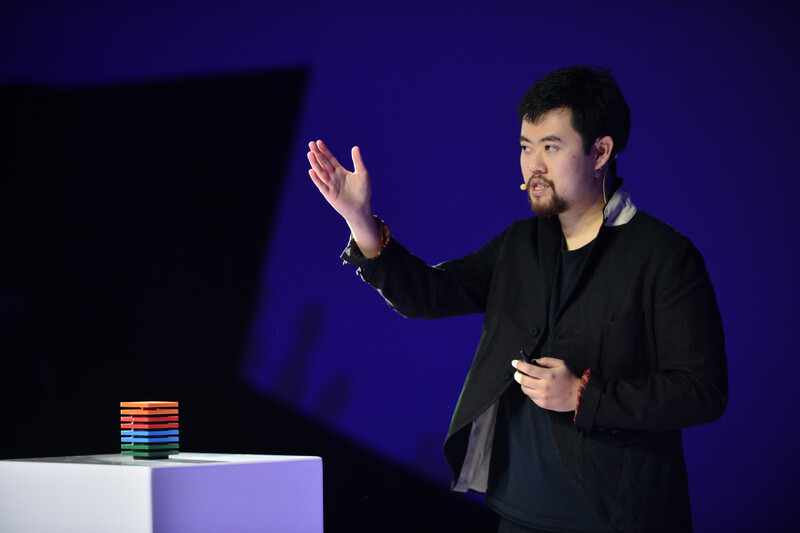 Baidu launched the raven H RMB 1,699 AI-enabled smart speaker it hopes will become a “definitive product” worldwide at the company’s World Conference in Beijing on Thursday. 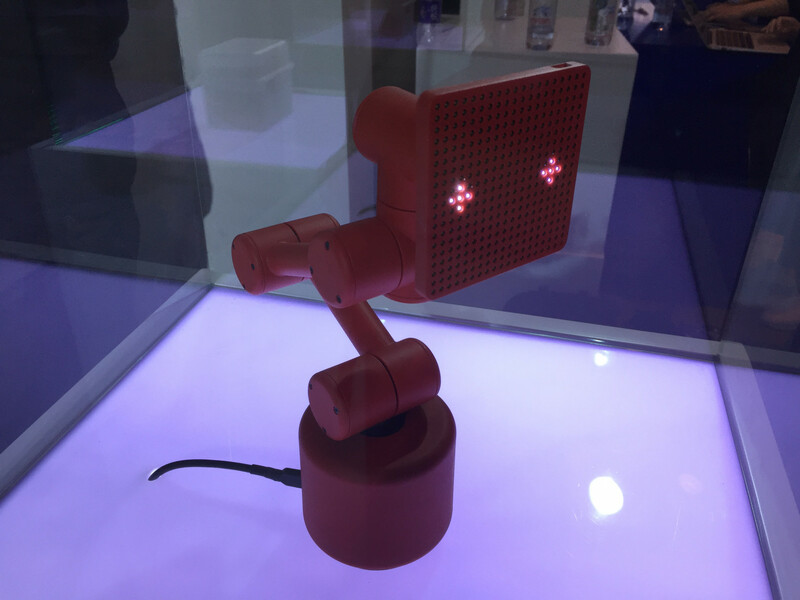 Plus there were two “one more thing” announcements of future products: the raven R six-axis robotic arm and speaker with emotional intelligence, plus the raven Q, a small robot which uses an array of sensors and simultaneous localization and mapping. The raven R (渡鸦R) does indeed look completely different to its competitors, resembling a stack of children’s toy bricks rather than a smart home hub. 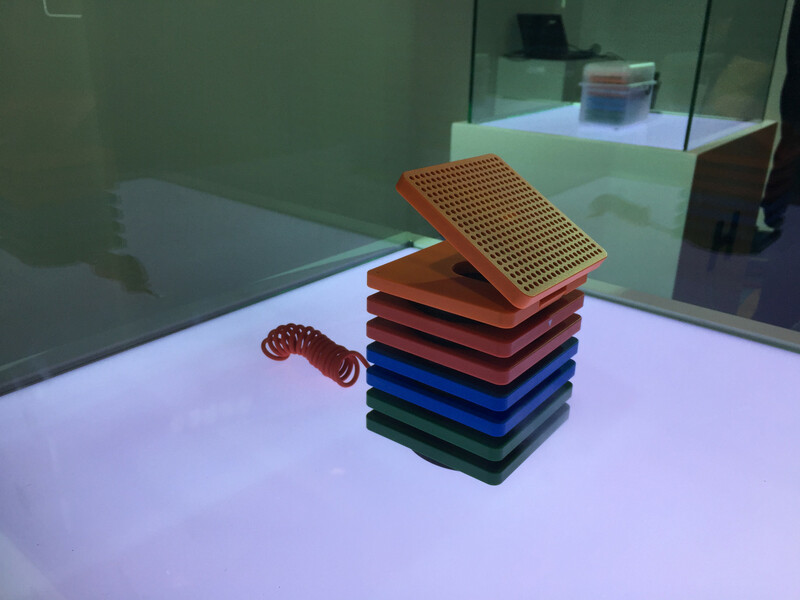 Made of a high-performance polyamide, the colorful square tower has a base roughly 10x10cm which holds the speaker designed by Tymphany of Denmark (formerly Peerless). The top layer of the speaker tilts upwards as the inlaid dots contain LEDs which form a display of sorts. This layer is also a touch-based input device like a remote control and can be lifted off the stack entirely, attached by magnets. This remote can control the base speaker unit plus all other smart home devices linked to it. Baidu acquired Raven Tech in February this year and this release is the first product range that has emerged, making it Baidu’s own first AI device for the mass market. Working in collaboration with Stockholm-based Teenage Engineering, a consumer electronics maker, the Raven range is hoped to be classed as “definitive.” Jesse Lyu (Liu Cheng), Raven founder and now general manager of Baidu’s Intelligent Hardware Unit, introduced the product as being definitive in the way that the first iPhone became the definitive smartphone whose form factor all others followed. The speaker runs the new DuerOS 2.0 also launched the same day, four months after DuerOS 1.0 was released. The operating system is dubbed as “conversational AI” for allowing devices to communicate with each other, and users with their devices through with an emphasis on voice recognition and control. DuerOS allows users to directly access Baidu’s AI-powered functions, from requesting songs to hailing cars. One revealing scenario involving a football fan was given. After asking when Liverpool’s next match would be, the speaker would ask whether the fan would like a reminder for the match setting and would even switch on the TV when that match starts. “Why is it so small? Because we’re different here from America where everyone has a big house. Here, our houses are small,” Lyu told conference goers. Jing Kun, head of DuerOS, told journalists that for the voice recognition of the raven R there were differences with products overseas: “The China acoustic environment is quite different to that in the US. In the US people normally live in fancy, big houses whereas in China people live in small apartments so the acoustic environments are different, which results in us having to take a slightly different approach, even the technology, to make a good product”. In a deliberate send-up of Steve Jobbs’ famous “and one more thing” line to announce another product, Lyu revealed the next version of the raven H, the raven R.
A speaker unit forms the base, but this time with a six-axis robotic are on top which allows the same touchpad top layer of the raven H to be attached. The pad’s lights form facial expressions as the unit is equipped with “emotional intelligence” that lets the arm follow user’s movements, dance and pull faces. Staff manning the Raven stand told us the device—even more reminiscent of a 1980s dancing sunflower when seen up close—would be available next year. Finally, a bizarre, caterpillar-tracked robot was brought on stage—the raven Q. 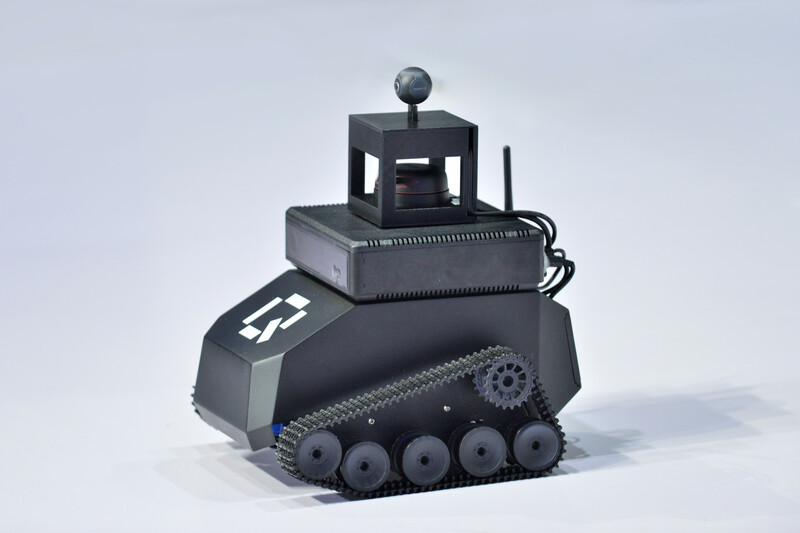 Very much still a work in progress, the “AI Home Robot” is equipped with an array of sensors which allow it to map and navigate new environments via synchronized localization and mapping (SLAM). It will make use of DuerOS’s voice and face recognition, allowing it to pick out and follow its owner, and converse via natural language processing. Currently seeming like an alien from the early years of Doctor Who, the purpose of the raven Q is not yet clear.